How about a trip from Bhopal to Khandwa this weekend? Being one of the oldest inhabited places in India, Khandwa is home to several ancient places. Even though it is popular amongst tourists for its beautiful temples and other religious sites, there are still numerous spots where you can explore its beauty, ranging from mini islands to rivers and parks to ancient ponds. As per records, Khandwa is said to have been in existence since the prehistoric era. Since then, it has been a major settlement in the region of Madhya Pradesh. It was also a significant Jain centre during the 12th century and hence, you can also find a few Jain temples within its boundaries. If you are keen to visit this historic city with temples, then read on to know more about its places of interest and how to reach Khandwa. The area around Khandwa experiences an extreme climate and hence, the temperature during the summer season rises above the mean level. Therefore, it is least visited during the summer season. However, due to the presence of several temples and religious sites, it remains crowded with Hindu devotees throughout the year. The best time to visit Khandwa is from October until the end of March when the temperature is optimum letting you explore its surroundings comfortably. By Air: The nearest commercial airport from Khandwa is located in Indore at a distance of about 130 km. From Indore you can either hire a taxi or catch a bus to Khandwa. It will take you an approximate time of 3 hr to reach Khandwa from Indore. By Rail: Khandwa is well connected to other cities and towns by rail and hence, you can catch a direct train from Bhopal to Khandwa. By Road: The area of Khandwa has a good network of roads and hence, it can be easily approached by road. Khandwa is located 258 km from Bhopal. You must take route 1 if you are looking to reach Khandwa from Bhopal within minimum time as it will take an average time of 5 hr to reach your destination through this route. On your way, you can also visit Sehore and unveil its archaeological sites. Sehore is located about 38 km from Bhopal and 220 km from Khandwa in the foothills of the Vindhyachal Range and is popular for its archaeological sites. It is believed to have been established during the era before the Christ Period and hence, several rock edicts, inscriptions and a few idols were found during an excavation here. The major places to visit in and around the town of Sehore include Jama Masjid, Saru-Maru Caves, Ramlala Mandir, Ganesh Mandir, Cenotaphs of Kunwar Chain Singh and Hanuman Phatak. If you love exploring the beauty of ancient relics, then Sehore is surely a destination for you. Apart from being a historical city with ancient temples and sites, it is also known as one of the significant commercial centres in Madhya Pradesh and hence, it comes under the category of one of the smartest cities in the state. While in and around Khandwa, the following are the places which you must not forget to visit. Dada Darbar Temple is an ancient temple which is dedicated to Dadaji Dhuniwale, who was the most revered spiritual teacher in the region and was popular for helping everyone with his magical powers. He used to teach his followers about the different aspects of life. Today, this temple is one of the most-visited temples in the region where you can find his followers worshipping his idol day and night. How about getting yourself to this interesting temple and learning in detail about Dadaji Dhuniwale? Hanuwantiya Island is a small island inside the Hanuwantiya Tourist Complex and is known for hosting adventurous sports, such as parasailing and snorkeling. It is settled in the backwaters of Indira Sagar Dam and is a beautiful place to savour. Khandwa is also famous amongst local tourists for its ancient kunds, namely Padam Kund, Bheem Kund, Rameshwar Kund and Suraj Kund. These four kunds are located in the four directions of the town and are also considered by many as the sites of religious importance. Omkareshwar is one of the most significant pilgrimage destinations as it is the site of one of the 12 jyotirlingas in India. It is visited by millions of tourists and Hindu devotees every year. Set on an island called Mandhata amid the Narmada river, the beauty of Omkareshwar certainly needs to be captured on your camera. 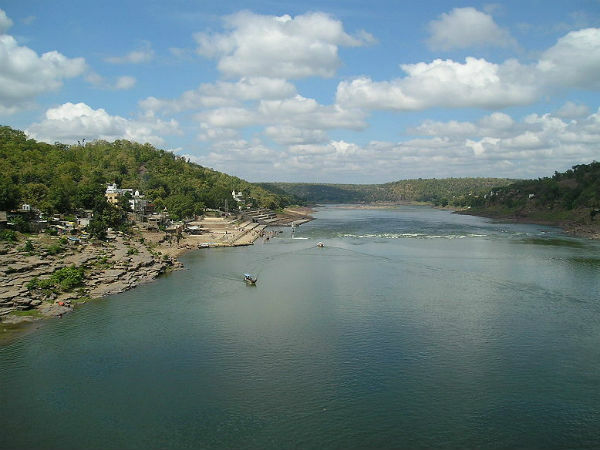 Several other places in and around the core region of Khandwa include Turja Bhavani Temple, Indira Sagar Dam, Gauri Kunj, Nav-chandi Devi Dham and Nagchun Talab. So, isn't Khandwa a wonderful place filled with ancient marvels and soothing sites?